This morning, I received an update from Capital Management of Ohio on testimony that occurred yesterday at the Senate Panel regarding HB49. Sen. Bob Hackett (R-London), chair of the Senate Finance Health and Medicaid Subcommittee, said the administration has assured lawmakers and providers that the system will be ready July 1 as planned, but that they’re also ready for problems that arise. “They’ve said to us that if the system won’t operate efficiently from the beginning, they’ll delay it themselves,” he said in an interview. As I have stated in several posts, as a Billing Consultant who is currently testing two different software packages that encompass an estimated 100 agencies in Ohio, I disagree with that statement. The vendors I have tested do not currently have the functionality in place and the timelines for functionality implementation does not allow for agencies to perform the necessary customization after the functionality is available in their production system. 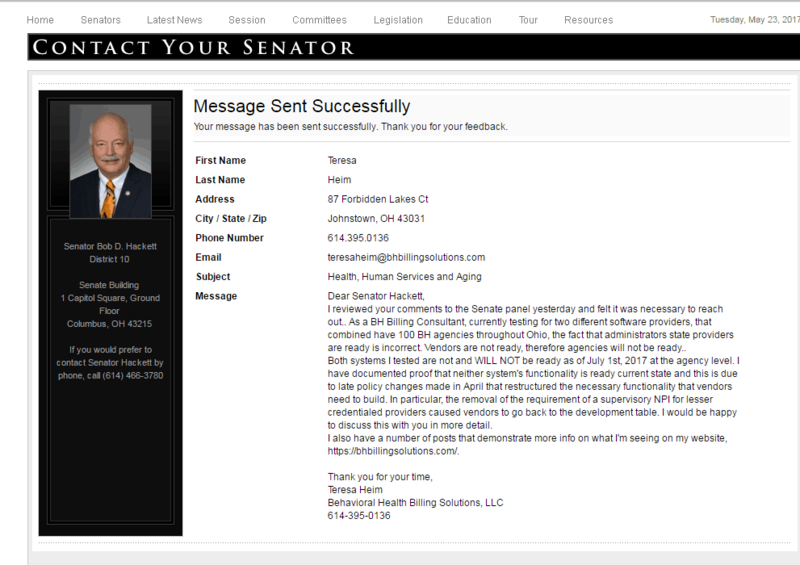 Therefore, I sent the message below direct to Senator Hackett and I recommend that every agency in Ohio that feels they fit into this category needs to select Senator Hackett’s name listed above in RED or the email below which also contains a link, to email their concerns directly to him. Make yourselves heard, together we CAN and HAVE to impact change. 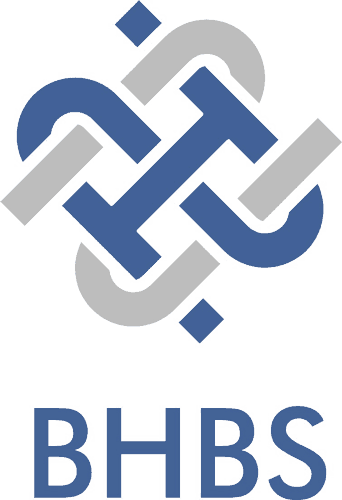 Select the Senate Logo below to read the testimony from the Panel.